When embarking on your first holiday as newlyweds, you’ll want to have your special memories preserved through a lens. All your friends and family will ask to see photos of your travels, and you’ll be looking to make a photo album as a memory for years to come. Having some professional photography taken on your honeymoon is always a good idea, as these photos will be the most artistic and beautiful. It is hard, however, to find english-speaking photographers in your various destinations. That’s why Travelshoot are here to help: they have a strong network of local photographers all over the world that they can put you in touch with, for both honeymoons and destination weddings, so read on to find out how! Travelshoot’s network of photographers is spread over 90 destinations, and their main focus is capturing your amazing honeymoon and travel memories as a couple. With a Travelshoot package, you will be met by a local, talented photographer who will give you a little tour of the area and will take photos of you along the way, in the most beautiful of spots. Do away with the complicated selfie stick or awkward photos of one another, a Travelshoot experience gets all the perfect couple photos sorted straight away, so that you can enjoy the rest of your honeymoon to the full. The idea came to CEO, Sarah Pearce, when she herself was on her honeymoon in New York. They knew a photographer based in the city who wanted to take photos of them on Brooklyn Bridge for his portfolio. This led Sarah to realise how nice it was to have candid and artistic photography with both of them in it, along with the spectacular New York sunset, without them having to ask other tourists to take posed photos of them. 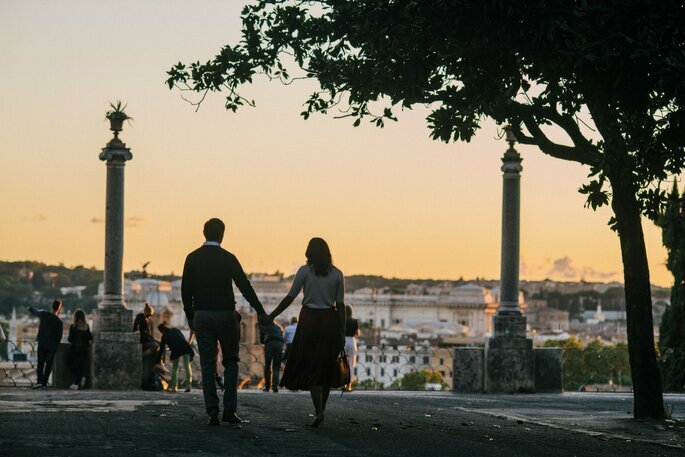 Sarah hence decided to recreate this experience for couples all over the world. Since 2012, this business idea has grown from its base in Australia into an international network. 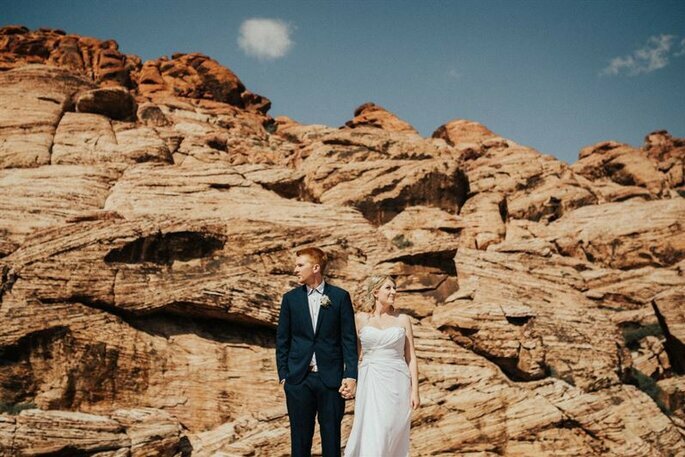 Their friendly team are obsessed with all things travel photography, and relish the opportunity to help couples create beautiful honeymoon and wedding albums. The Travelshoot honeymoon experience makes the perfect wedding gift, with a variety of packages available starting from $399. 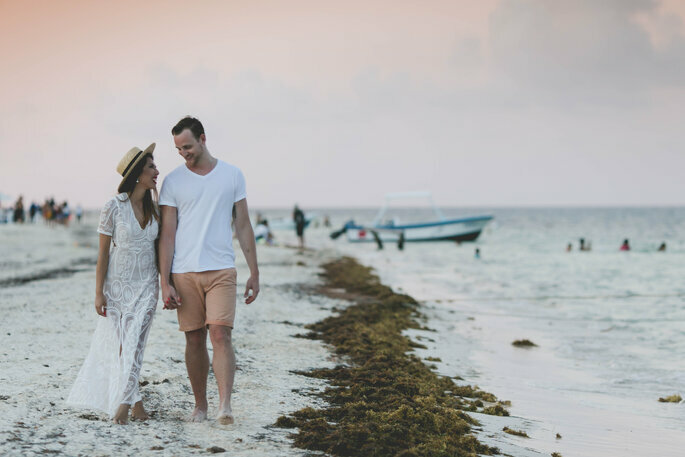 You can choose from however many hour sessions you want, so it’s completely up to you… Combine the wonders your the honeymoon destination with the love you shared for each other, and make your photo album one to remember forever! As well as providing lovely photos for jet-setting newlyweds, Travelshoot can also provide the photography at your destination wedding. 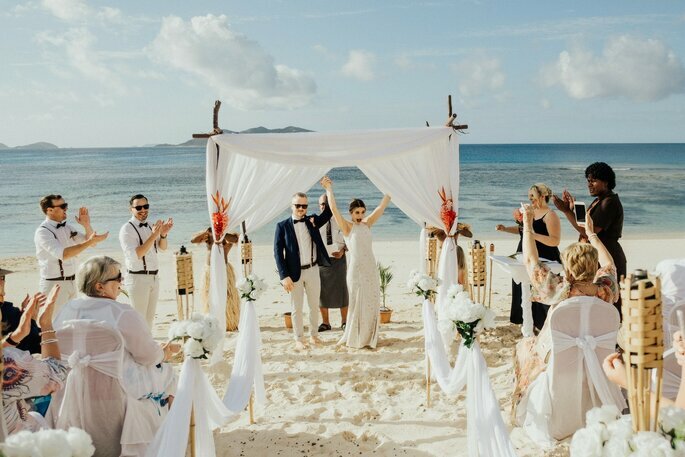 When choosing to tie the knot abroad, finding the right services (like a wedding photographer in the area) is a daunting task. If you don’t get good photos of the special day, then what’s the point of travelling to beautiful locations and planning the wedding to perfection? The Travelshoot wedding package is a fuss-free solution, designed for smaller, more intimate weddings. You will get a 2 hour shoot and will be provided with a minimum of 100 photos, ready to look at within 48 hours. Then you can enjoy the rest of your special wedding day without worrying about looking good for the photographer from all angles. Have a look at Travelshoot’s blog to see the lovely photos from a recent wedding they did in Fiji! Travelshoot is the option option when organising your honeymoon or wedding photography. When it comes to getting great photos of your travels together, (especially seeing as though it’s going to be your first one as a married couple! ), there doesn’t need to be any fuss. Find reliable and local photographers with Travelshoot to capture your special moments wherever you are in the world.